To make a complex monumental sculpture today from a small 1960s drawing by a MAD magazine cartoonist exemplifies a kind of engagedand endearinghigh/low apotheosis of the stupid. 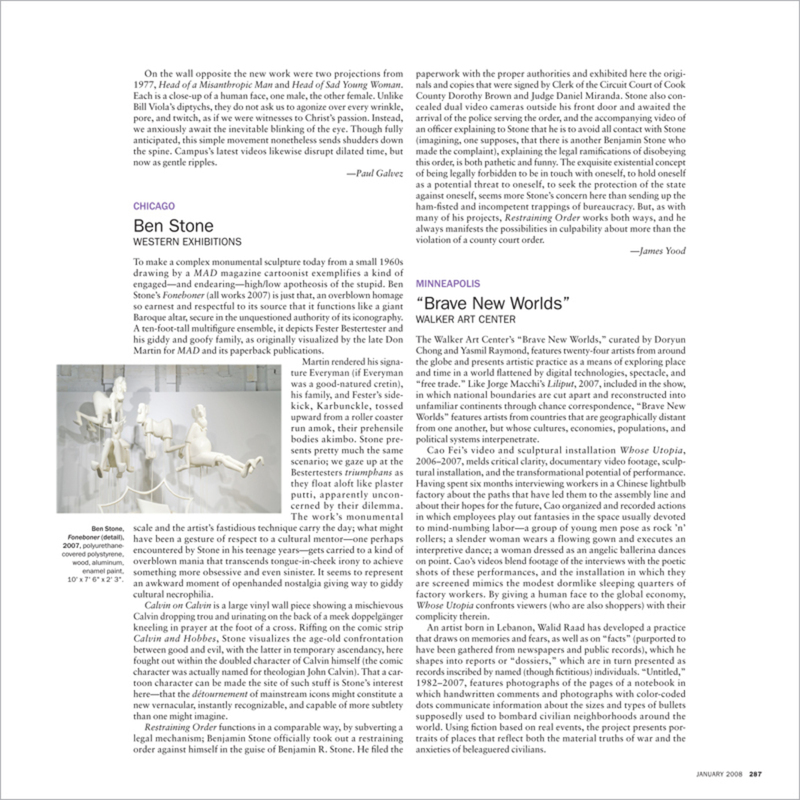 Ben Stone’s Foneboner (all works 2007) is just that, an overblown homage so earnest and respectful to its source that it functions like a giant Baroque altar, secure in the unquestioned authority of its iconography. A ten-foot-tall multifigure ensemble, it depicts Fester Bestertester and his giddy and goofy family, as originally visualized by the late Don Martin for MAD and its paperback publications.